When's the Last Time You Had a True Jersey Sub? Among the many things that Jersey is known for, subs done right is near the top. White House Subs has crafted superior subs the New Jersey way since 1946. From our humble beginnings nearly seven decades ago, White House Subs has become world famous for quality-made New Jersey subs. Visit our main location on Arctic Ave. When it comes to quality subs, we feel that the bread is as important as the meats, cheeses and toppings that go into it. That's why we make fresh, top-quality bread the foundation of all of our delicious subs. Come taste the difference exceptional bread and fresh ingredients can make when combined with traditional New Jersey submarine recipes. Catering available, order your party sub today! ot an event coming up? Please your guests with subs from White House Subs. We have multiple options available to feed crowds large and small. Trays, 3' subs and 6' subs available. Review our menu and call or visit either of our locations to place your order. 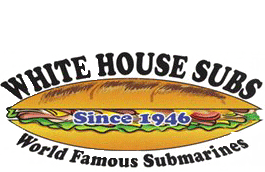 For a taste of world-famous subs done the Jersey way right here in Atlantic City, NJ, visit White House Subs today!